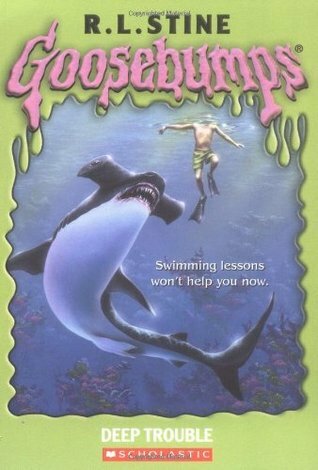 I am going on an adventure and re-buying and reading Goosebumps books. I loved these books as a child. My favorites are Say Cheese and Die and Say Cheese and Die, Again. I enjoyed reading them when I was younger. In fact, if I had to pinpoint a book or series that really sucked me into reading, it would be the Goosebumps series. I don’t recall ever reading this particular book, but it is possible that I did. I remember some of these books used to scare me, and make me want to keep the lights on. I have to say, Deep Trouble was not my favorite. I know in Mr. Stine’s books that usually one of the characters is a bratty kid, but something about Billy really didn’t sit well with me. The Goosebump books also used to take me all day to read. And I was always super excited when I finished them in one sitting…my how I have grown eh? !